Protein – the building blocks of your body. Proteins is what makes up the structure of your cells and they perform multiple functions in your body. 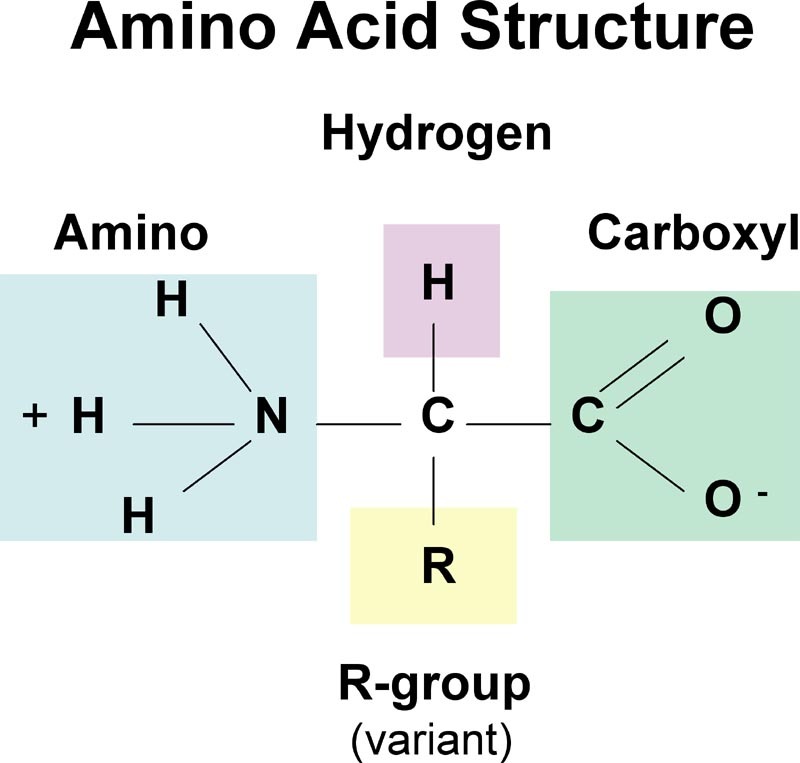 Proteins are macromolecules (big molecules) that are built up of amino acids. When you eat food, your proteins will be degraded into these a mino acids and transported to virtually every cell in the body. There they will be used to build the specific proteins that the cell and/or the body needs. The templates for the proteins are found in the DNA, our genetic code. The code is copied and written out as a protein, through a refined system. The molecule is folded and tweaked in the cell depending on its future uses and functions. Enzymes: These are molecules that catalyze, or boost, chemical reactions in the body. One example is the enzyme Amylase, that breaks down starches (that are to big to be absorbed) into smaller sugar molecules (aka glucose) that can be taken up in the intestine. Cell signaling and receptors: Insulin is an example of a signaling protein. It’s made in the pancreas and sent out in response to raised blood sugar. Insulin acts on a receptor (also a protein) in the cell walls and triggers a cascade of signals to enable uptake of the glucose. Structure: Without structural proteins the cells would be collapsing and unable to function. An example is the fibrous protein collagen that makes up a large part of the cartilage in our joints. Some of these structural proteins also have motor functions, like myosin and actin, which constitute a large part of the muscular system. These molecules are able to connect and enable movement when energy is provided through enzymatic reactions. Proteins are literally everywhere and perform tasks essential for life. Plants and micro-organisms can make all of the 21 amino acids that exist, but your body can on ly synthesize some of them. The rest of them needs to come from the diet and these are called essential amino acids. 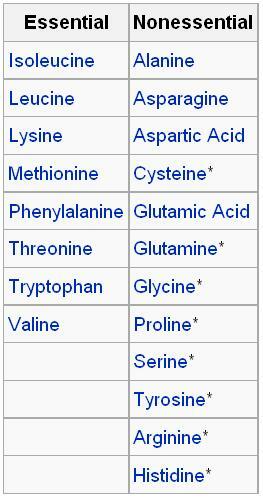 Foods that contain all amino acids are called complete protein sources. Eggs, Meat and Fish are examples of that. Milk and milk-derived products are also good protein sources. Some vegetarian products, like legumes, many nuts and soybeans are sources for complete protein. Proteins can not be stored in the body, so whatever excess you eat will be utilized for energy, either by direct break down and use or by conversion to glucose or ketones. This takes place in the liver. The waste product from breaking down the amino acids for energy is urea, which is excreted by the kidneys. The amount of proteins needed in the diet is still debated. It depends on lean muscle mass, metabolic rate, physical activity, rate of growth, carbohydrate intake, state of health and so on. At the moment the recommendation for a sedentary person is 0,8 g protein/kg of body weight and up to 1,5 g protein/kg of body weight for a person building muscle or exercising heavily. Remember, this is the estimated amount of protein needed, not actual weight of the food. By varying the source of protein, eating eggs, meats, fish, proteins and vegetables low in carbohydrates and fueling the body with fat, most people will not need any protein supplements, even with high physical activity.